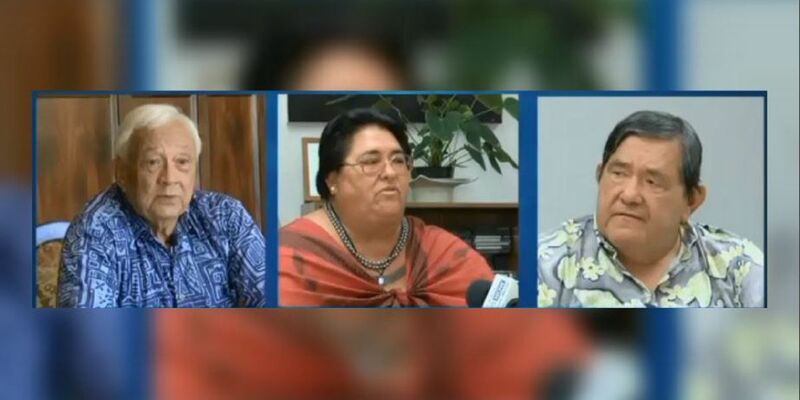 HONOLULU (HawaiiNewsNow) - A judge is allowing some prominent Native Hawaiians to join the case in the court battle over control of Hawaiian heiress Abigail Kawananakoa's fortune. Kawananakoa's attorneys previously tried to convince a judge not to allow that to happen. Former Bishop Estate trustee Oswald Stender and UH professor Lilikala Kameeleihiwa are both board members of the Kawananakoa Foundation. Last week, the foundation filed a notice of appearance in state Probate Court. Board members want to make sure their expected allotted portion of Kawananakoa's $200 million trust is put to proper use. "It would be a great tragedy if monies that Abigail Kawananakoa wanted to give to a foundation to care for Hawaiian people was misused, squandered perhaps, and not directed toward what she wanted," Kameeleihiwa previously said. The foundation is expected to receive about half of the $200 million trust. They say that money is intended to further provide financial support for Iolani Palace and Hawaiian education and language preservation projects. Board members also said they want to add to its mission by providing housing and healthcare assistance for Hawaiians. The legal interjection is a way for board member to ensure the money is secure in case the trust is handed over to Kawananakoa's wife, Veronica Gail Worth. But the princess' attorneys said this week she believes they are her adversaries and do not represent her interests. Stender says he's had good relations with the princess for more than 50 years.